The most expensive part of your car is usually the engine. You spend lots of time and money over the course of time owning your vehicle on changing fluids, replacing tires, servicing the engine and keeping your vehicle looking great. Your engine after years of use can always use a good detailing. It will get rid of excess grease and grime and restore your engine to its original shine. 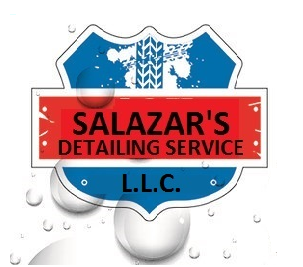 At Salazar’s Detailing we use state of the art equipment and eco-friendly degreasing products to thoroughly clean your engine and help protect against erosion problems. After years of getting beaten up by weather, road conditions and UV light, your headlights become dull due to the oxidation. Given time the protective surface of your headlights can breakdown. Headlight restoration can restore your lights to a like new condition and can be far cheaper then purchasing new headlights. Headlight restoration when done properly can help extend the life of your headlight assembly. After the headlight is restored an acrylic or urethane clear coat can be applied that can protect the lens from UV exposure and damage. In the “Valley of the Sun” we get plenty of UV rays hitting our vehicles.